There are 682 posts in this topic. You are on page 1 of 14. 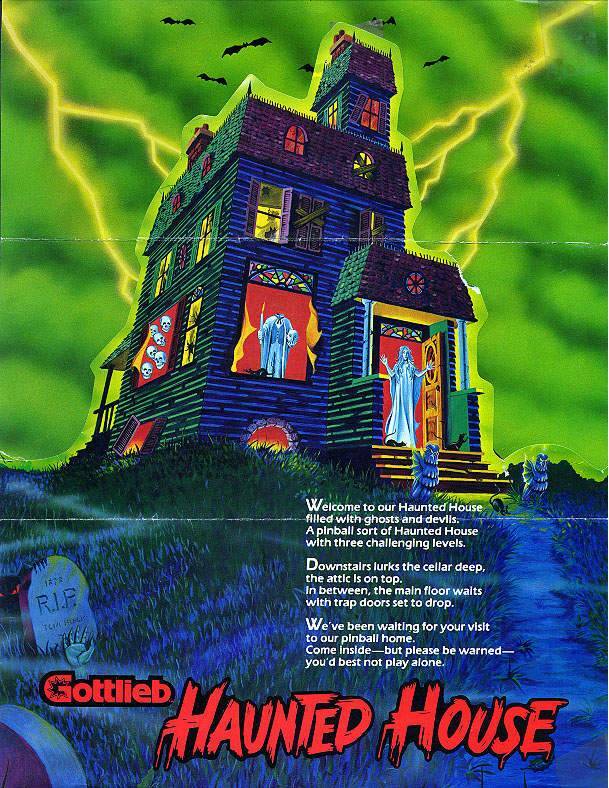 Gottlieb's Haunted House. This is my personal favorite and the most nostalgic game from my childhood. I recently rescued an HH from the deadly depths of 25+ years of storage neglect and brought it back to life. Despite it's reputation as being a large, wide, heavy, problematic machine with an excessive amount of moving parts, the game itself is unique with the three PF levels and eight flippers. The art is gorgeous, the music is charming, and the theme of spooky old homes with ghostly spirits will always have a place in our vivid imaginations as kids and adults. It is timeless. Not to mention it hails from the early 80's! ALL ARE WELCOME HERE. If you own the game, one day hoping to own, looking to buy one as we speak, or just love the title when playing at a friend's house or arcade, you are welcome to post here. This will be a great place to share your success stories, headaches trying to fix one, or simply ask questions if you need to know more about this intricate beast of a game. Let's keep this thread going to promote the mission of saving, restoring and playing this awesome machine. Long live the HAUNTED HOUSE! davebart5 last edited this post 2 years ago. I'm finally getting a HH next week. Can't wait to get it home and join the club. Hell yeah, Konghusker! Project or plug & play? This pin is definitely on my short list. Same as you this one machine i always went to when i was a kid...A many a quarters went into this machine. Ill post a before and after pic later. Same here Stretch. Bought mine in June, very dirty and neglected machine which sat in someone's basement for 27+ years. I got it all shiny and looking nice, now getting through the mechanical bugs and then she's ready to rock. I'm new to fixing pins, so going into it I knew it wouldn't be a quick turnaround for me. Patience is my savior right now. One of my favorites and mine will probably never leave. It is a beast of a machine especially when it needs to be moved! Well it's about time HH got a club! It's a fun game that gets alot of play from visitors. 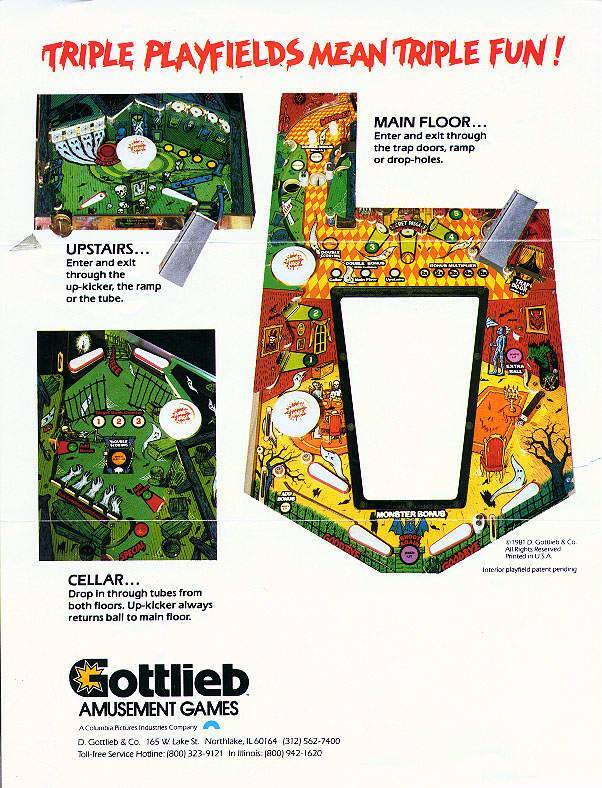 I never played one on location but instead heard of it when I first went looking for a pinball machine of my own back in the late 90's. I went to a game operator in my home town who had a show room where they sold used games. I was there at the same time as another guy who I overheard talking about the coolest game he ever played called Haunted House. 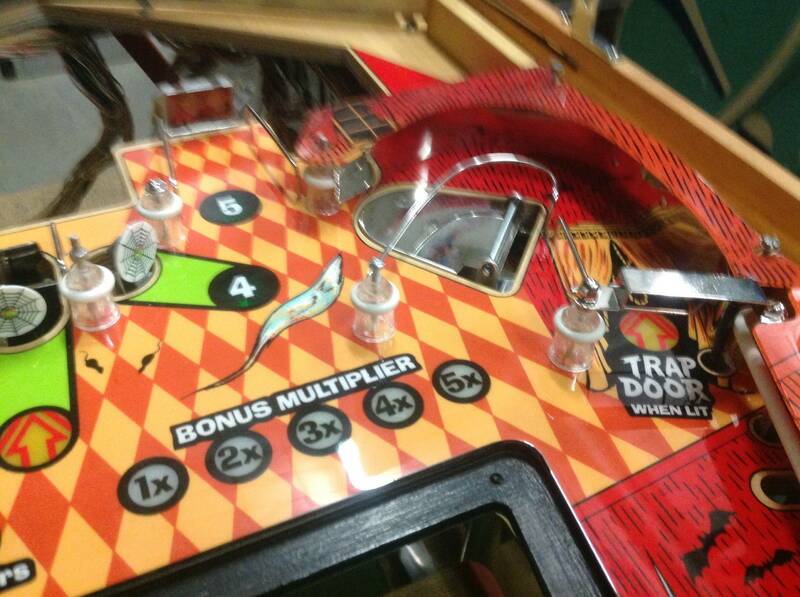 He talked about the creepy music, three playfields and so many flippers it had two sets of flipper buttons. 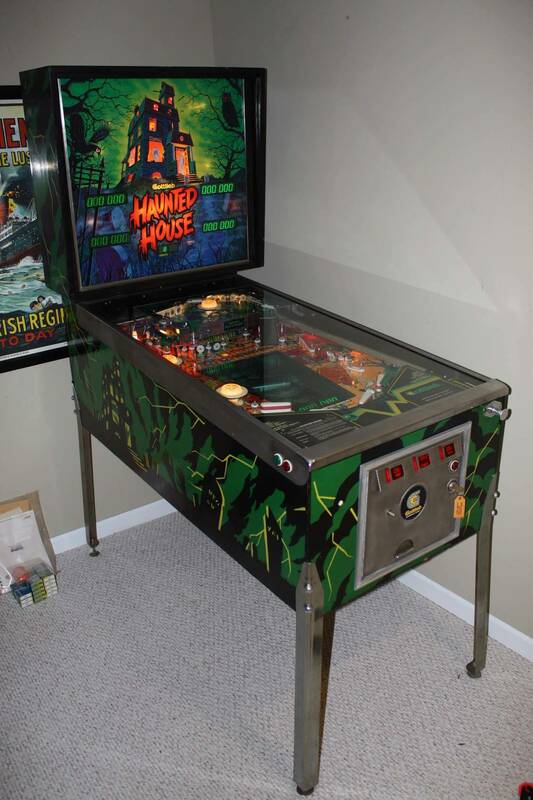 I love haunted house/creepy theme things and I new just from his description of the game I someday had to have one. After alot of searching I finally found one and I've had it for 13 years now. I don't think I'll ever let it go. Yes, one day we will play. Gearing up right now to put in a good work session on the HH tonight. Hoping to run through all connectors again with a closer eye, and I just bought a new DMM. Going to check everything with that one more time too. The one I was using didn't have audio continuity alert and was very very basic. I think I got it for free a long time ago at Ace Hardware or something. It is a beast of a machine especially when it needs to be moved! That is one move I will always remember. I got my HH back in the early to mid 90's. 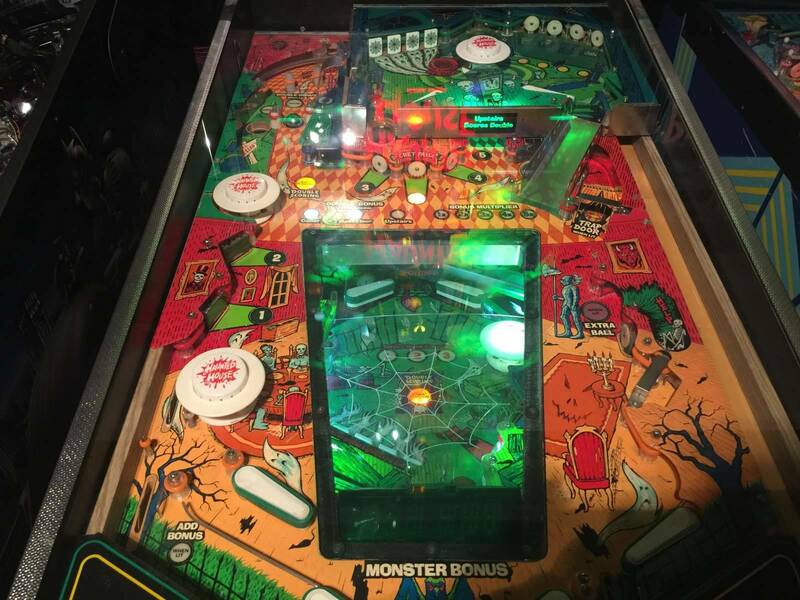 My wife wanted one as we used to play that when we were first going out back at the arcade at Salisbury Beach MA. That place has been closed for decades. The machine was found in on the 2nd floor of an old farm house with a narrow 30 inch wide set of stairs with 2 landings. We had to break the machine down to smallest parts to move it. 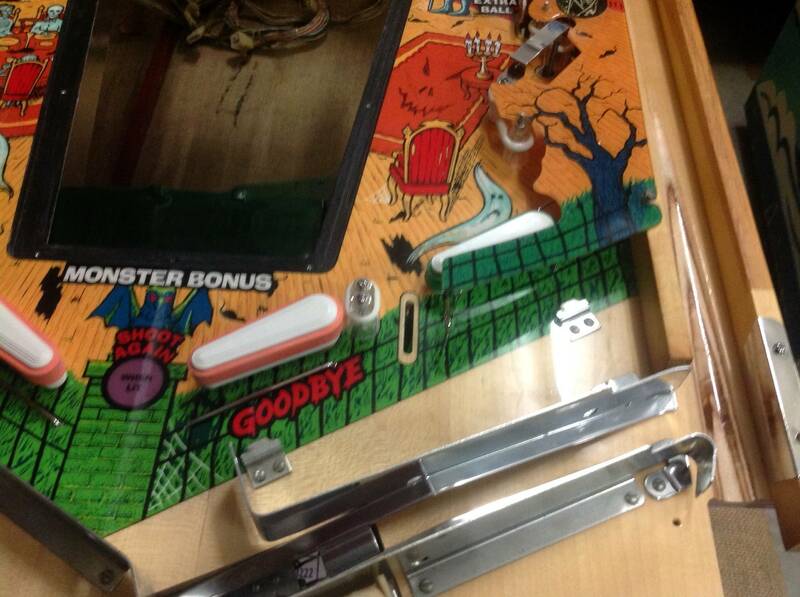 Glass, upper playfield, lower playfield, head, body, legs all made a separate trip down those stairs. Cleaned up nice! I love when they're found in neglected situations and then get raised from the dead. Makes it that much more special. I'm in the market for an original backglass if anyone has an extra to sell. My original BG was bubbling a little, but not too bad. Then one night I had it off when I was fixing a 6 digit display a few weeks ago, and a freak accident with my dog and some blinds that came down had hit my glass putting a small ding in a noticeable area. 100% my fault to put the glass in a potentially compromised location, regardless if I only had it off for 2 minutes. Thats all it took for lightning to strike. LESSON LEARNED. I then tried touching it up myself and that ended horribly. This is absolutely devastating to me because I was really loving that all parts from the game I rescued was able to be used and kept. Now, I have a near mint CPR repro I bought from someone, but it's just not the same. I want an original. It just makes it more special to me. I'm still mad at myself about it and I think I've gone through all phases of emotions when someone grieves a major loss... Never happening again. That's a good find. I want a story like that one day! 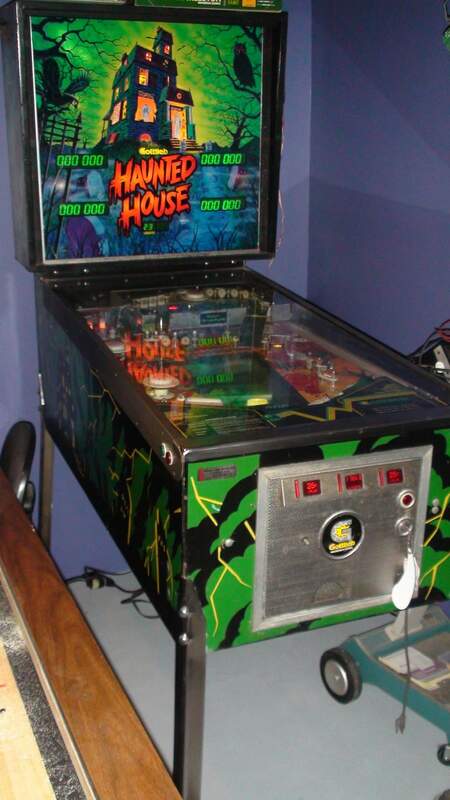 I recently picked up my haunted house. Had a lot of work done (replaced boards and parts by the original owner) and was in working order I hear but it is stuck and won't start properly. The displays are wonky and the sound crackles, doesn't change when I touch it so I doubt it's grounding issues and disconnected and reconnected the harness and board connections but no change. Any advice here? Always make sure your power supply and header pin connections are solid before trying to troubleshoot your game. I would love to pick up a HH to keep my Black Hole company. They seem to fetch quite the premium though. Need to find a fixer upper! I acquired a HH a few months ago after thinking it might be cool to have some system 80 pins in my collection. I started with HH because a nice one came up for sale near me that was reasonably priced and in really nice condition, and figured it would be a good opportunity to get my feet wet with system 80 to see if I wanted to live with one. It needed some minor board work on the power supply, but has been playing reliably since in stock form with no ground mods. Now I kinda wish I would have also bought the Caveman the guy had for sale. I started a separate thread about this, in hopes that it will reach enough people and maybe, just maybe, something comes from it. 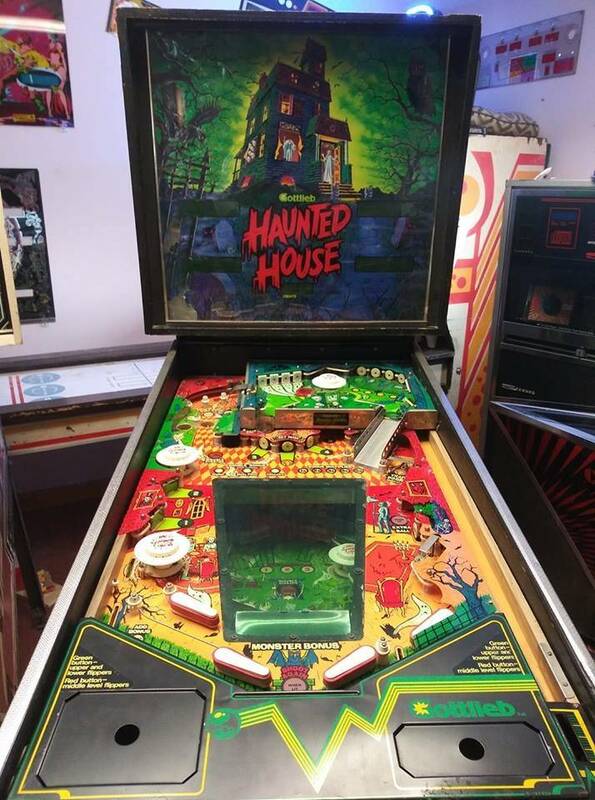 But, I'm looking for a Gottlieb Haunted House that was purchased sometime in the late 90's (I believe) from a private seller's home in Catasauqua, PA (18032 zip). I know the last name/location of the owner that sold it and can verify that connection if any leads do come about. I'm pretty confident there aren't too many HH's sold in any one small town over the years, besides your major cities where several probably change hands over the course of a single year. 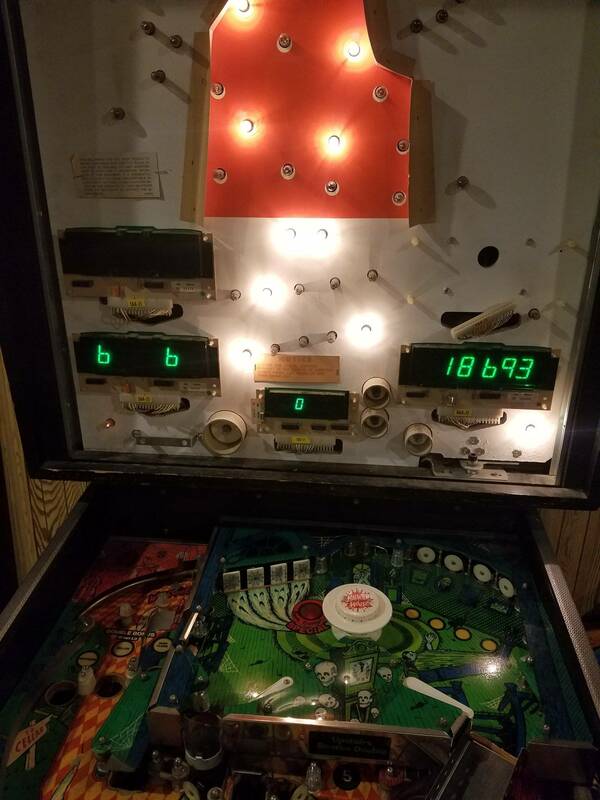 This game was in the collection (basement) of a childhood friend of mine in the early 90's, whose dad was into restoring hot rods, jukeboxes, pins, etc. I remember going over there to play it as a kid, and over the years kind of forgot about it as we grew up and moved on with our lives. 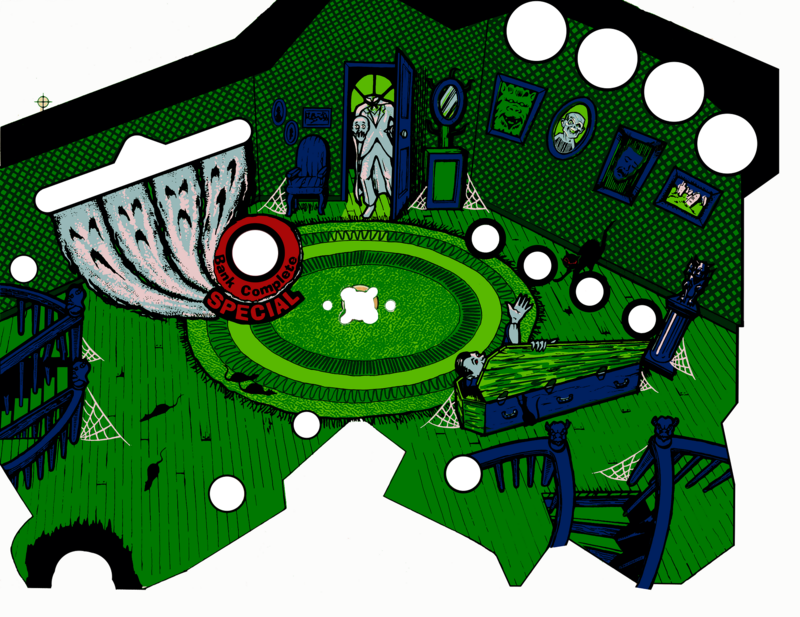 One day last Spring I randomly thought of the game and became obsessed with learning everything about Haunted House. I asked my friend about it and he said his dad sold it years ago. Thats all I know. I eventually bought my own HH this past summer and the rest is history. Now, I'm hooked on pins, but thats a whole different story. It would be amazing to have someone read this, and say "hey, I think i'm the one that bought that HH your talking about in [insert date]". Even if you (or they) aren't looking to sell, it would be awesome to know where that game went, and maybe one day when the time was right, I acquired it somehow for my collection. Wouldn't that be an epic pin hunt if I actually found it? That would be "the one" that started it all. Yup, that would be me. You're welcome. I'm in on this club. As by way of helping others, make sure you do the recommended mods. This link is for the ground mod that is a must-do. haha, I guess this left a strong impact with you! Didn't we pull a couple games out of your second floor garage with a crane pulley? With that said, it's very fun and challenging if set up correctly. The art imho is second to none! I love the whole Haunted Mansion vibe, so many little details. My favorite part of the game is pounding up nice bonus and the multipliers. Getting the extra ball is a hoot too. I currently have mine for sale here on pinside, but to be honest, after thinking about it, I really don't care if it sells. LOL yep when I built the garage I never wanted to hump stuff down flights of skinny turning stairs again. If you have not seen it, the gents in France have put a Pinsound in a HH. Wayyy cool. It may be my first Pinsound purchase once they finalize that kit. How much does a Haunted House weigh? Can someone do me a huge favor, and at your next earliest convenience, please take a good photo of your prop-bar assembly. When I brought my game home for the first time, it was dirty all over and I stripped a lot of parts off for a deep cleaning. One of the pieces I didn't get a picture before taking it apart was the prop-bar nuts, screws, assembly in general. Since putting it back together, my bar has been really loose, and basically falls down if I don't hold it up myself. If I recall correctly, these should be tight and need to be pushed down when not in use. 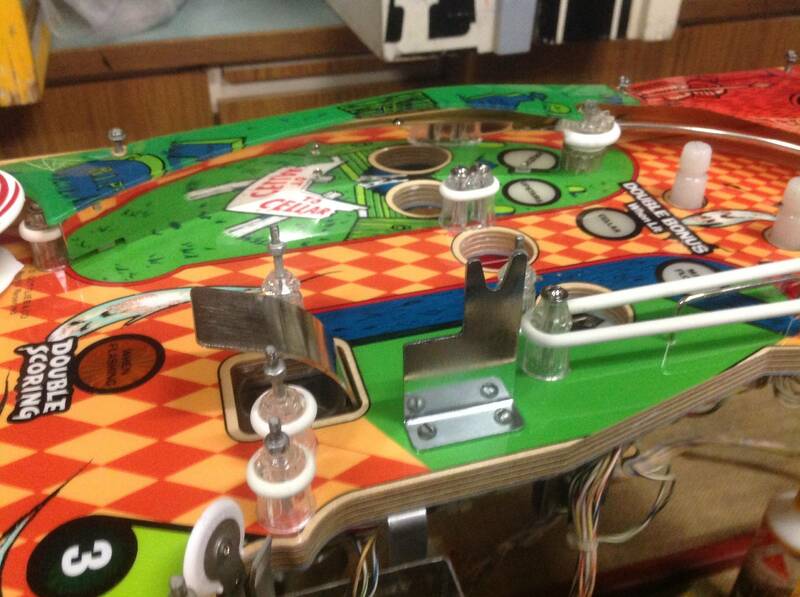 FWIW, mine has always flopped down without a playfield to hold it upright. has anyone put led displays in? If so, how nice are they? Ok, good to know, makes me feel better about mine. I still need a picture of someone's prop-bar parts, because I'm not confident I put the exact nuts and washers on that were originally there. I have the screw that was there, but for some reason I mixed up the washers/nuts/etc. Would love to get this back to normal. Personally, I like incandescents for this game and don't think I'll ever go to LEDs on it. That spooky victorian mansion vibe goes much better with the warm glow of the original bulbs. It reminds me of candle light, very fitting. But, let's say I got tired of changing bulbs one day and if I were to ever go with LEDs, I might opt for these (http://silverballmuseum.com/online-store) scroll down to see them. They're the closest thing to that vintage warm glow that I can find. Kind of expensive though. i meant led scoring displays! 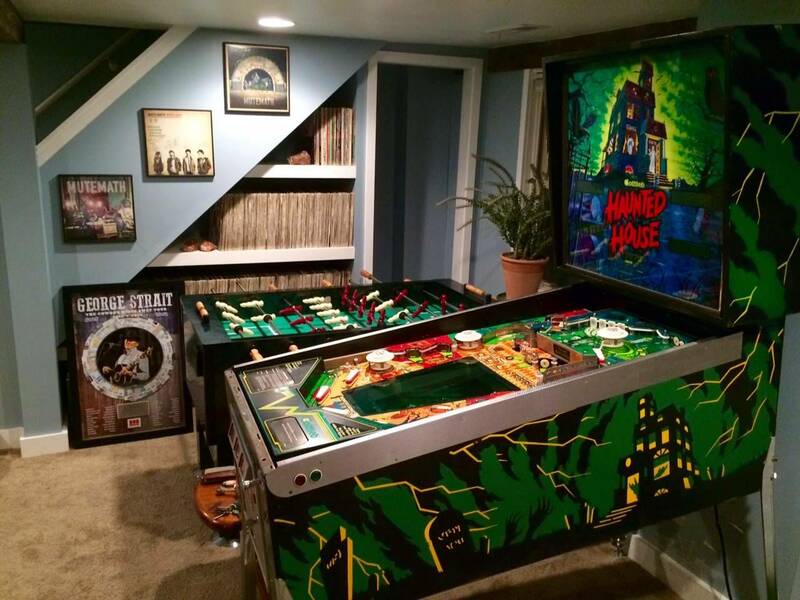 I too, am not sure on led bulbs, however...with a previous HH I had, I had used colored regular bulbs, like red near the red plastics on the right, and green up by the attic clock, It really set the game off imo. 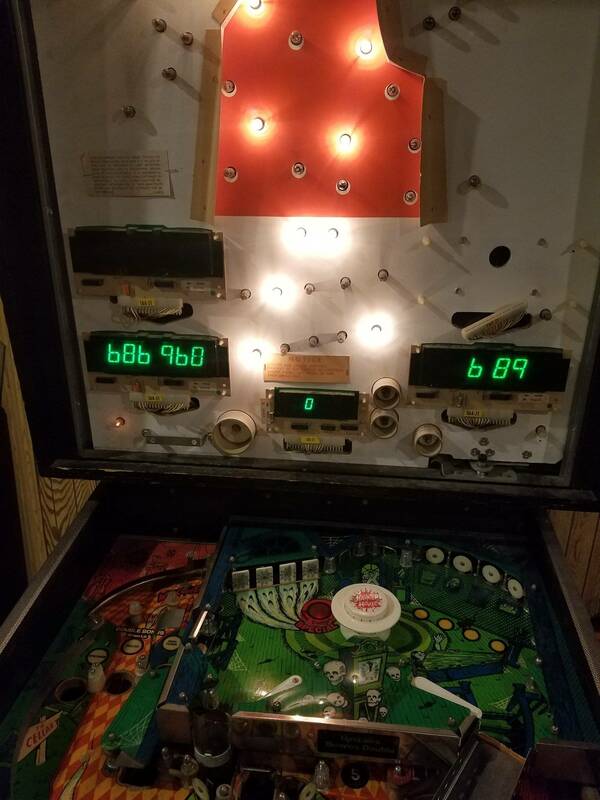 Mine does not have LED displays, it does however have LED GI (including the down facing 13volt ones under the playfield window) and Playfield lamps. I will film it and put it up on Youtube. You may be mildly pleased. I have owned a HH for about ten years now. it is at a vacation home that my wife and i own. It is a nice clean original. 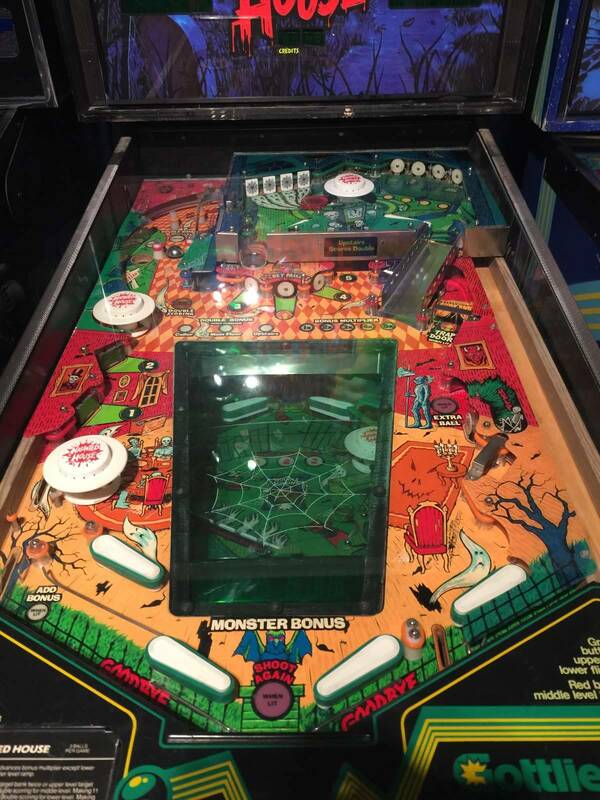 I enjoy playing it and remember playing one in the arcade at Disney Land on my High School 1980 graduation night.Some of the ground mods have been done but maybe not all the other mods. Regardless it plays nice for what it is. I met Steve blown fuse at PAGG last year also and he helped me fix a sound problem on a Excalibur System 80 machine that I brought. "Thanks Steve" He has a wealth of knowledge on system 80s and he is a super nice guy. 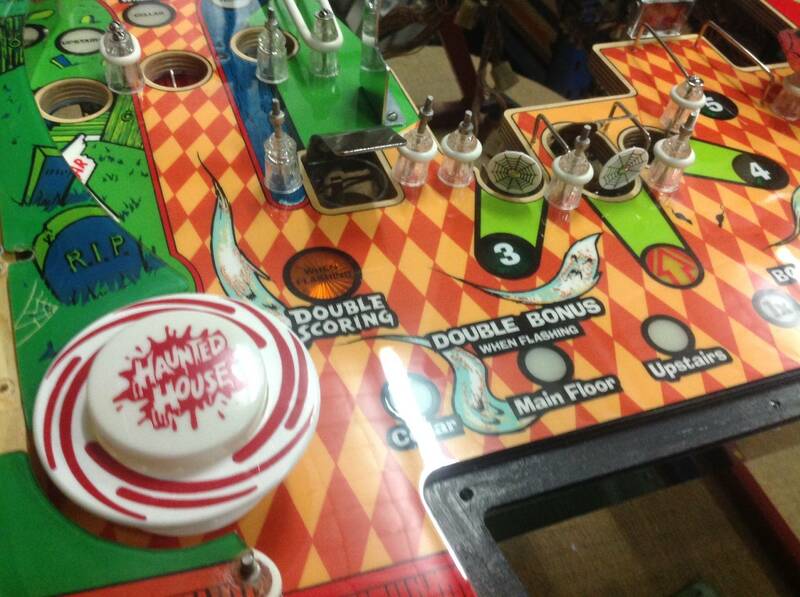 Nice HH story, glad to help you too Rob, pinball is a great way to meet people. I met Steve blownfuse at PAGG last year also and he helped me fix a sound problem on a Excalibur System 80 machine that I brought. "Thanks Steve" He has a wealth of knowledge on system 80s and he is a super nice guy. Yeah, I see that now haha. Definitely just briefly glanced through your post and see that I missed the obvious word, displays. Awesome club, just wish I could join. I just can't seem to find this game for sale anywhere near me. Which is a total bummer because I'd love to have one someday. being able to shoot up it properly. I noticed on here some time ago that there is a spring thats fastened to the bottom part of the plastic tube and has a spring on it fastened under the main playfield with a small metal L bracket. I don't have this spring, metal bracket on mine which I am sure is mostly the problem. 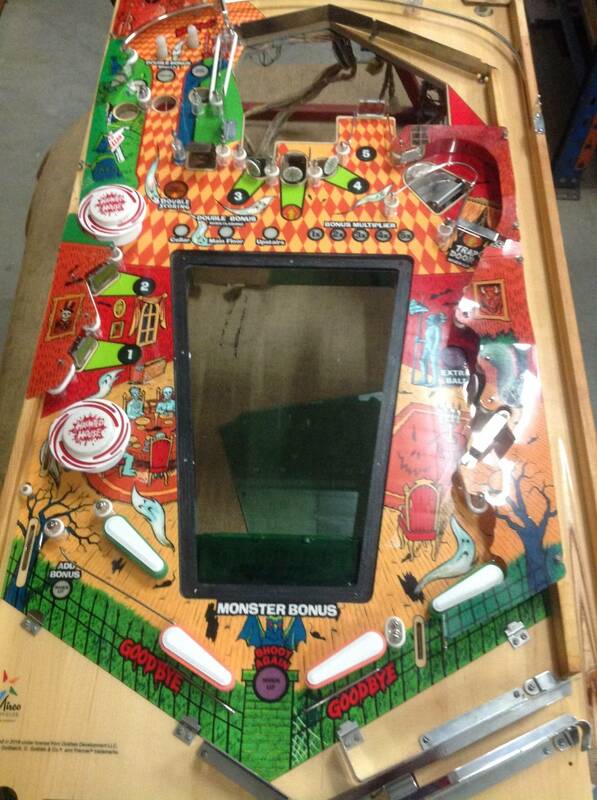 As a favour, if anyone has the main playfield up on their HH, could you please snap a few photos of this area with the plastic tube and post them here so I can see what parts I am missing and see if I can find? No spring, just a capacitor base clamp. I need some help or advice regarding some final issues I'm trying to fix with my HH. I've spent a lot of time getting my HH project cleaned up and now just have this final hurdle to overcome to be officially finished and playing games. FYI - I have a Pascal PI-80 installed in this game. First, everything was working (lights, game boots up, sound, pops, flippers, kicking targets, VUK, bank resets, etc.) except for the main PF right side extra ball hole coil wouldn't fire to push the ball out of the hole. I replaced that coil and the transistor there, but haven't been able to see if that is fixed due to a current issue I will describe below. Before I could see if that extra ball coil is now working, I was testing targets and pops by hitting them with a ball, and my kicking target #2 randomly fired rapidly if hit, then the pop bumper above it would randomly fire rapidly if target #2 was touched and on one of those rapid succession fires of the target #2 it locked on and I seen smoke come up from under there. Target #2's coil was unusually hot for a while after and eventually had to be replaced because the sleeve melted and wouldn't allow the plunger to lower. I've since replaced that coil. Since then, none of the pops, kicking targets, upkickers, flippers, etc. will not work at all. But, Bank resets, free game knocker, coin door coil, etc. all seem to work. I've checked all fuses (F1-F15) and nearly all coils test well for good resistance. No wires seem to be disconnected. 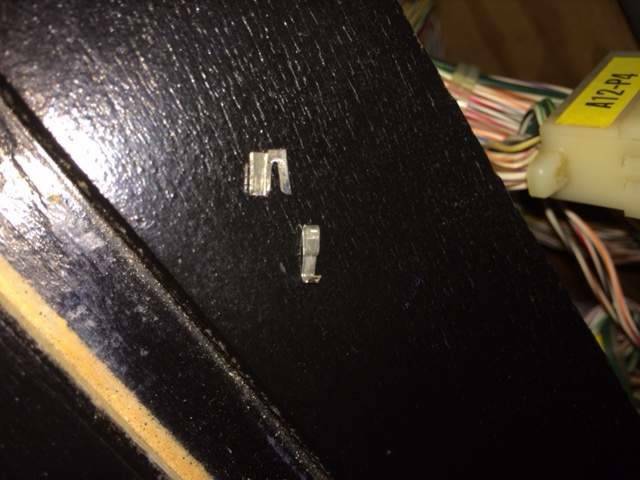 I did have a pin inside my A3-J4 connector that was loose and when pushed out of the connector, looked to be broken. Pictures of that below. I will replacing that pin tonight. I ran the coil test on the pascal and here is what happened... Other coils not listed below do fire upon the test. Also, I asked Pascal about the problem and he recommended I check the game over and tilt relays. The 24VDC coils power is fed thru them. But, I'm not really sure how to test those and currently researching how to review those parts. Sorry, I'm a newbie, but totally in love with my HH despite this headache!!!! Thank you to anyone who can help here. Also, in relation to my post above, despite the issue I'm having with power getting to those various coils, I am having a hard time re-pinning this connector A3-J4. I almost have to force the old pins out. The wire was able to be removed, but there seems to be some original piece of the original connector that won't budge from inside. 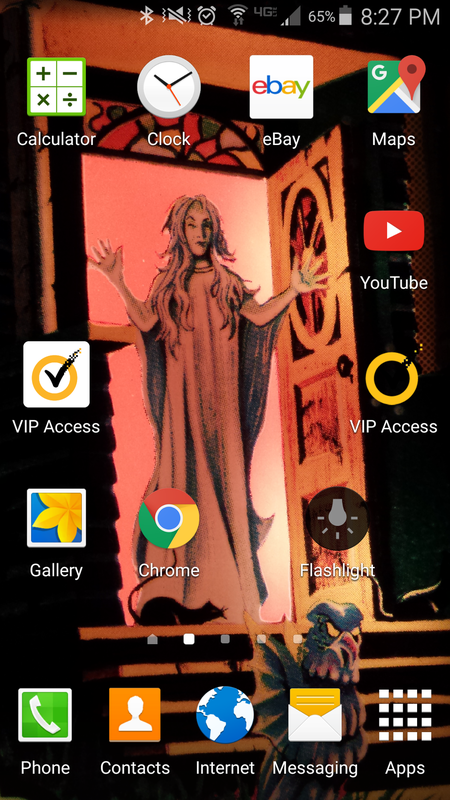 Can someone tell me how you remove the entire pin that is originally there? 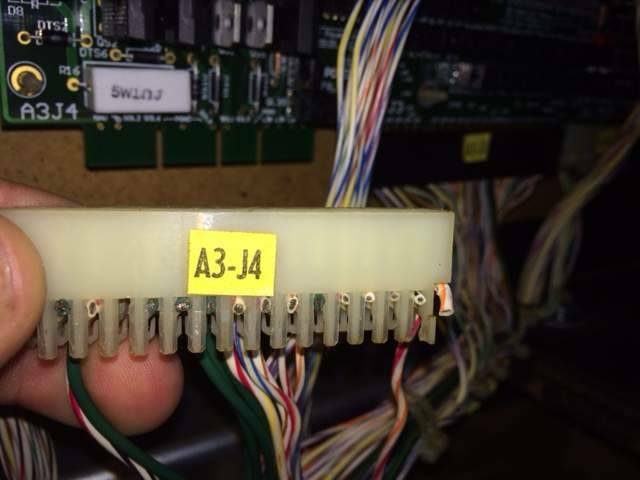 Does each slot have it's own pin, or are all the metal pins inside this connector interconnected somehow? I also notice this new connector I bought from PBR (pictured below) is different than what is originally in the connector. The old setup has the insulated wire not stripped at all, and it's fed through the bottom of the pin that is split into two metal sides. Those sides grips the wire, rather than stripping it and sliding it up vertically toward the connector clip. Hope that makes sense. The old style is a punch pin type, the style in the pic above is a better connection at the wire. 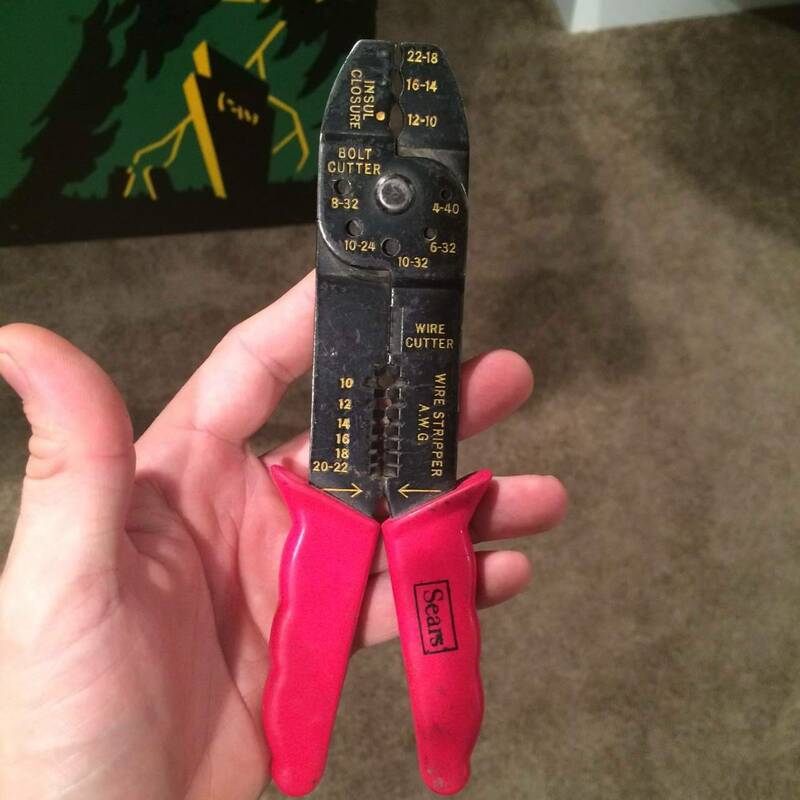 Do you have a crimping tool to install the crimp to the wire? Great to hear I have the right pins to do the job. I'm having a hard time getting the original punch pin out of the housing. It's taking huge feats of strength to get it out, still not budging. I don't think it should be this hard, and because of that I'm probably doing it wrong. Also, I know it's hard to say right now, because I may have something happening with my relays causing 24vdc to not get to the coils mentioned above, but with these pins in A3-J4 being loose or some pins setting back compared to others, could that cause the issues I'm having with no activity in pops, flippers, kickers, etc.? 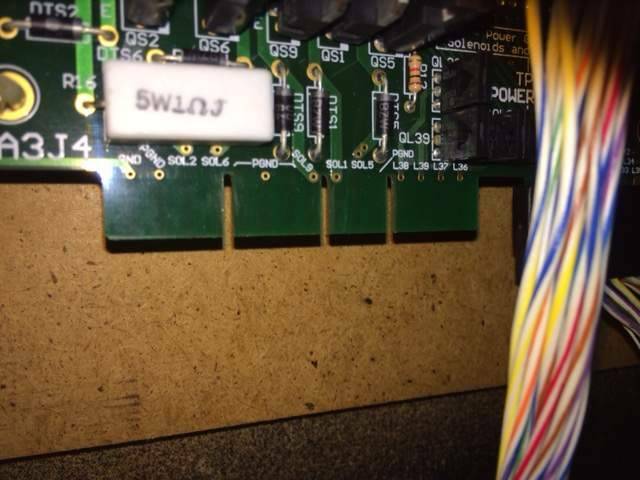 I notice on the Pascal board, my picture above, that this connector does in fact work with the Solenoids. 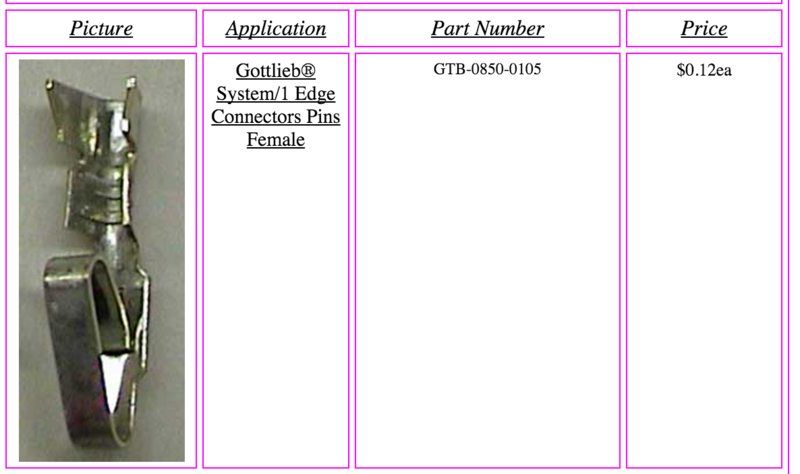 Um, I believe that crimper won't work with that kind of crimp, it looks like one for working on wiring for cars. I'm off to work right now, hopefully someone will post a link to point you in the right direction for the correct crimper. If not, I'll do it when I get home. Thanks guys! No rush at all, and I'm going to buy the right one the minute it's posted. As you see, I'm still building my tool kit to work on my pins. I'm still a little unsure on how to pop out those old punch pins that are in the connector. I'm literally using all of my strength to push it down through the bottom of the plastic housing and it won't budge at all. These come out one at a time, right? Also, fingers crossed my solenoid issues are due to faulty pins in my connectors and everything comes back to life after a good re-pinning. I read over and over again that a lot of issues start in the connectors.
. I'm having a hard time getting the original punch pin out of the housing. It's taking huge feats of strength to get it out, still not budging. I don't think it should be this hard, and because of that I'm probably doing it wrong. It's pretty easy, so you probably are at it wrong. I use a very small flat head screw driver and press on that little tab, pushing up and working it out, it should slide up/come right out. The pin comes easily free from the side the wire is attached to. Sometimes pulling up the wire helps, other times they break off. Once in a while they get stuck, but overall, it's just tedious. 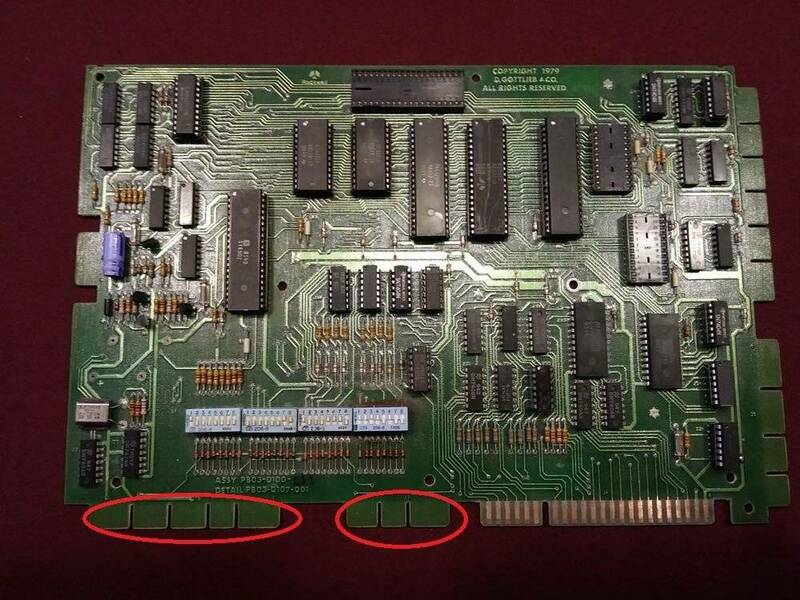 Repinning connectors is always number 1 with these types of games, the old pins really can crap out making all kinds of intermittent connection problems. Good to know. I'm gonna get another crack at them tonight. I was using a very thin allen wrench to get in there and push the tabs, but a small flat head might give me the leverage I need.